Are you building a new home? Wondering what to prewire? And what about all the new wireless technology? Do you worry if it’s worth it to prewire? I love the analogy Steve Jobs used when asked about PCs, Laptops and Tablets. He said as good as cars are, we will always need trucks for heavy lifting. The same is true when you build a home. There will always be heavy lifting to do in the home. For these applications, you want to use wire. I’ve heard some incredible wireless demos for sound; for both home audio and surround sound. I’ve seen HDMI demos for Video that wowed me, and much more. I want to be clear, I’m a huge fan of the emerging wireless technology, and think it provides phenomenal solutions for people already living in their homes. But given the option, I prefer to prewire the items that follow. TVs – Traditionally you run a RG6/Coaxial cable to each TV for Satellite/Cable services. Smart TV’s should be hard wired into the home network, and preferably with a Cat6. Projectors – Flexible conduit to projectors wherever possible, multiple Cat6 cables when it’s not. HDMI can go bad or become obsolete overtime, and this allows you to change HDMI as needed. Video Distribution – What I’ll say here, is that even with all the cord cutting, we still believe you should prewire for Video Distribution. A Quick word on FIBER. There’s a case to be made for running Fibre in a home or running Conduit so you can run Fibre later. I’m not sure we’re at a point where it’s necessary for every home, but it’s certainly something to consider. Most people consider prewiring surround in their main media room or theatre. You should also consider prewiring for Secondary Surrounds. The goal here is simply to provide more volume in larger rooms where flat screen TVs won’t have the speaker power to fill the room. The applications are endless: Master, Covered Deck, Pool, Great Room, etc. If there’s a room where you could enjoy more sound, consider a soundbar or full surround. You need to decide about where to locate your receiver. You can ‘localize’ the receiver in the room where it will be used, but if you’re doing Video Distribution, you’ll want it in the Media Rack. When we prewire a home, this is where we will be the most aggressive. 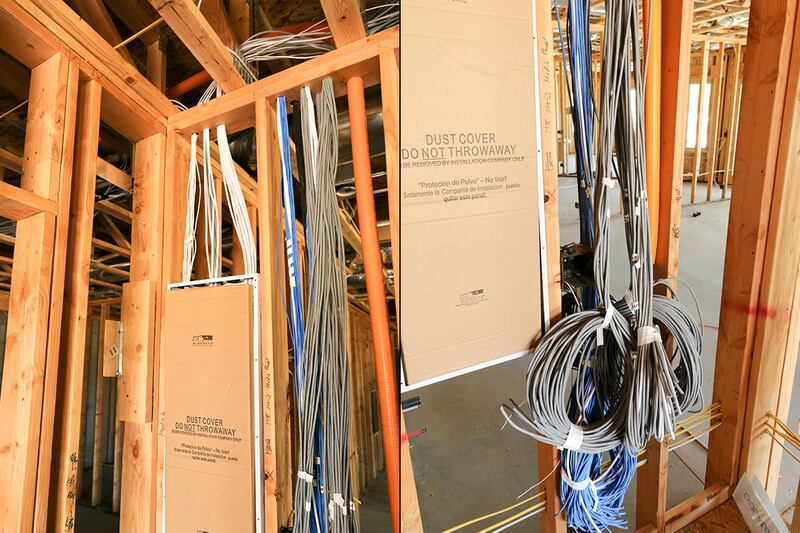 We have been known to wire in multiple rooms that are planned to be free of audio. Almost without question, once a Client experiences Home Audio, they want more of it. Showers, bathrooms, Covered Decks, Front Porch, Landscape Speakers, etc. If you are going to spend any time at all in a room of the house, consider prewiring it for Audio. We even have clients prewire hallways, and walkways for parties. Landscape speakers are designed so that you can hear the volume as loudly as you want, but without disturbing the neighbours. If you’re thinking about landscape speakers, you need to decide how many zones you may want and prewire accordingly. Point of Demarcation (also called the Demarc) – This is a location on the exterior of the home where Cable, Phone and Internet Service providers connect their services. Satellite Prewire – A satellite prewire prevents the home from being ‘wrapped’ where the Satellite company staples wire around the side of your home. Sat Prewires, are usually run to a location in the soffit nearest the Satellite location. Surveillance Cameras should be prewired. A lot of clients ask about wireless cameras, but with few exceptions’ wireless cameras still, need power. If you’re going to run a cable for power anyway, it makes sense to run a Cat6. You can hard-line it into the network, and send it power over the same wire. With Home Security we like to prewire the keypads for power. This keeps the keypad installs clean and void of power adapters. Beyond the keypads you can reliably cover the home with wireless sensors. Some larger homes struggle with the wireless range and can benefit from hardwired sensors. Likewise, if you’re using iron or metal doors and windows, those can cause interference with the wireless signals. We look at security prewire on a case by case basis. Hardwired Network – Wifi is great, but you still want to hardwire into the network where you can. It’s best to hardwire TVs, and Video sources into the network. Likewise, Ethernet ports anywhere you may want a hardwired connection. Wifi Hotspots – We havelearned that it’s best to leave yourself options for Wifi Hotspots. We usually prewire more locations than we believe we will need. This gives you the option to move Hot Spots around later and find the maximum coverage. We should just call this Miscellaneous. There are several things you can prewire in your home to give you greater control. iPad Mounts, Tablets & Wall Stations – Charging stations for your iPads are very popular. Systems like Control4 and Savant also have their own tablets that wall mount. We wire standard for these in common areas, and theatres, but you can wire them anywhere. Doorbells – Have the us or electrician wire the doorbell the same way it’s always done. Then add a Cat6, and a Multicore cable for good measure. There are so many Video Doorbell solutions, and they all integrate a little differently Smart Home platform, to platform. This keeps your options open. Fireplace – If you have a switched fireplace, you want to run a Multicore cable wire to the Fireplace Switch box. Later this can be used to tie into the switch and control your fireplace. 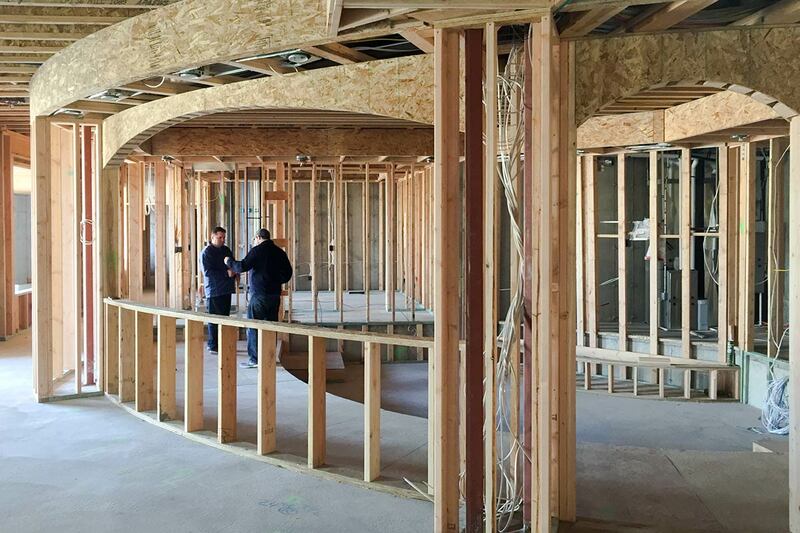 Abtec Audio Lounge works in conjunction with one of Wellingtons best cable, wiring and video installers in New Zealand and together we can ensure the pre-wiring issues are handled with the least intrusion during the building process.